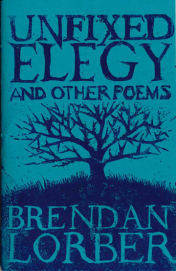 But what is an “unfixed elegy?” Is it a poem for the unfixed—whether for the unsolved or unrepaired, or for those unseated from life, or from death? Lorber’s work is propelled by an anxiety to shadowbox death, to figure it out, but it also doesn’t want to, and what propels that anxiety remains unclear. The death of others creates both desire and problems, where “I don’t want to remember the dead / I want them alive” and yet “your death / is all we need to bring you back.” Lorber takes a number of different stances on managing death and its environs, shifting his position and identifying places where the ability to take a stand on death is itself unfixed. Other recurring motifs include a set of fragments from “Ring Around the Rosy,” where the sweetness of the song, how light it is about warding off or surrendering to death, echoes the tension between the grave and the sweet against which the chapbook pulls. May the infinite oh yeah? be met with yeah! In the chapbook’s litany of prayers, the final one in this stanza speaks most clearly to a central desire to encounter a response that pulls its cycle forward. If “your death / is all we need to bring you back,” then it is finality that makes possible the doubling of a return, where death is a response. In Unfixed Elegy, ending moves things along. 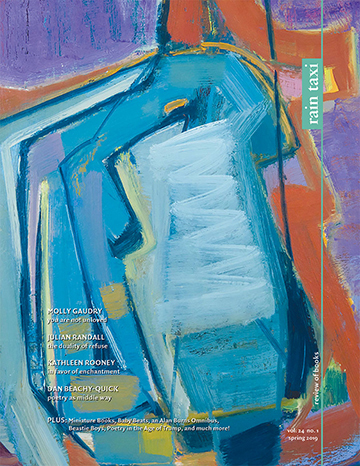 There’s an inescapable speed to Lorber’s poems; the accurate and sweetly chilling sense that life is passing as one reads, that “each year takes the next two to recover / yet this is living.” “Unfixed Elegy” suggests that the fact of living is more than can be made sense of in each moment, that we’ll never catch up to ourselves, or agree with ourselves, that the dead can come back to us, that time will never add up. This entry was posted in Uncategorized and tagged Fall 2014 on December 4, 2014 by Kelly.